This book is one of the four volumes that comprehensively presents basic physical chemistry. Emphasis is on applications of the principles, with a large number of solved problems. 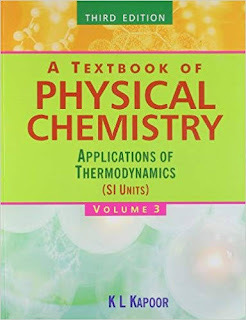 This particular volume deals with the applications of thermodynamics. This book has been designed to incorporate the latest recommendations in the field of Physical Chemistry. 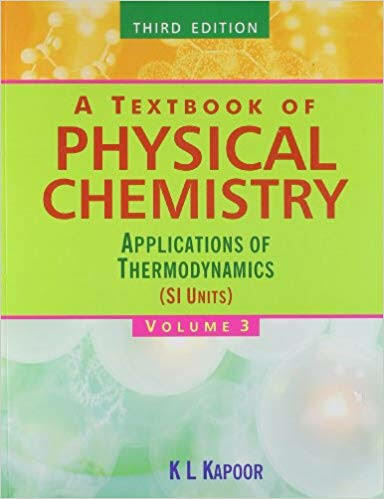 Volume 3 describes the applications of thermodynamics to the equilibria between phases, colligative properties, phase rule, solutions, phase diagrams of one, two and three component systems and electrochemical cells. A few important modifications in this book are mentioned here. The book is restructured so as to include the application of principles and equations in the form of solved problems and numericals. There are about 150 such examples in this textbook.